Mankato is a little city with a rich history, located in south central Minnesota about 75 miles southwest of the Twin Cities. It lies along the Minnesota River, a tributary of the Mississippi that merges with said by Saint Paul. The river serves as a county border and separates Mankato (population 40,000) from North Mankato (13,000). This situation inspired Mankato's motto: "A Little Twin Cities, A Lot Minnesota." The river propelled much of Mankato's early development, and the City of Mankato's website notes that "by 1854, U.S. mail was delivered regularly to Mankato due to the efforts of General Store owner George Marsh." Local sources claim that the town's name was originally Mahkato, meaning "greenish blue earth to [the area's] first inhabitants, the Dakota Indians". Indeed, Mankato is the county seat of Blue Earth County. According to a currently unavailable link referenced by Wikipedia, "a typographical error by a clerk established the name as Mankato" instead of Mahkato. 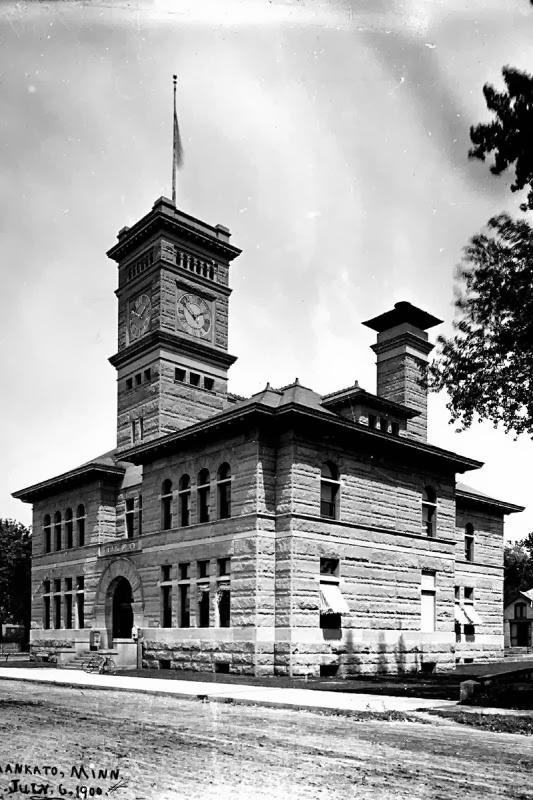 At the end of the 19th century Mankato was among the largest cities in Minnesota, and the city needed a post office that met its stature. That building still serves as the Mankato main post office today, and an analysis of USPS's Owned Facilities Report reveals that this is among the oldest post office buildings anywhere in the country that is still in operation today. 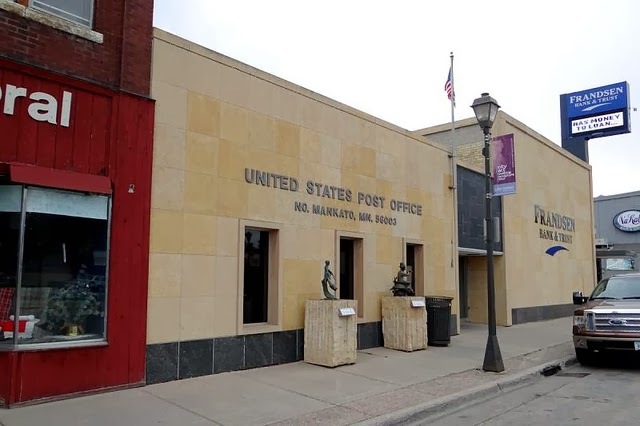 The City of Mankato has published a thorough walking tour of the city and states the following about the post office: "This building was built in 1895 and remodeled in 1933 to the structure seen today. It is constructed of Mankato Kasota stone. Since it blends seamlessly, you can’t tell the difference between additions. The second floor was used for Federal offices and courts. Those who served our country during the last great wars left from here." The Federal Judicial Center has made available an image from the National Archives taken in 1900. I've edited the photo and made it available on the PMCC's Minnesota Post Office Photos page as well as here. The building was and is still stunning. The local stone is a modest yet distinct orange, and though the clock tower (a common sight for 19th-century federal buildings) was removed during the building's extension to the south (toward where the photographer stood with respect to the above image), the grandeur of the building is evident. The chimney remains and the setbacks above the main building entrances are unique. The signage winds perfectly above the arched doorways. The length of the building doubled during its extension, but the consistency of the architecture makes the front of the building appear seamless. 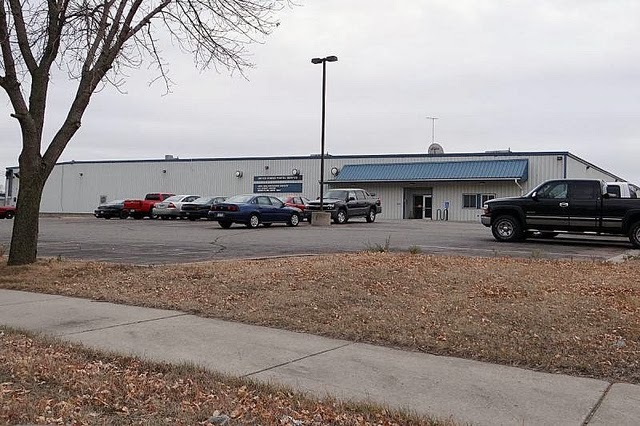 According to USPS documents the "Mankato MPO is a USPS-owned 69,839 square-foot facility that houses 42 [carrier] routes, Postmaster and staff, the Area-2 Manager of Post Office Operations and staff, retail and post office box operations." 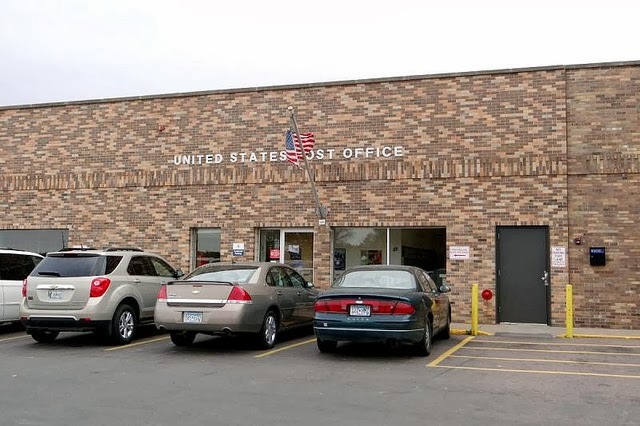 According to the most recent USPS Leased Facilities Report available, the North Mankato post office lease calls for a mere 667 square feet of leased space at $6,160 per year. (That particular contract expired in July; the current cost isn't available.) The post office is a finance unit, housing retail operations and PO Boxes but no carriers. Mankato's Processing and Distribution Facility (P&DF) was the mail processing hub for southwest Minnesota until implementation of USPS's Area Mail Processing plan took (or will soon take) those operations to Minneapolis. 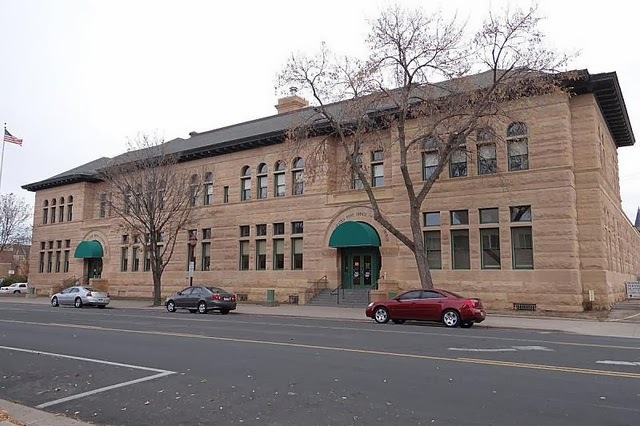 According to USPS documents posted prior to consolidation, "the existing 78,734 square-foot facility on an 8.0 acre site was originally occupied in 1992. The Mankato [P&DF] currently processes all originating and destinating letters and flats, and incoming Priority/FCM parcels for the 560 and 561 offices. In addition to processing operations, the facility houses a Business Mail Entry Unit (BMEU)." The facility held more than 100 jobs until what will be the consolidation of both originating (incoming, to-be-cancelled) and destinating (processed, to-be-delivered) mail operations; the facility continues to be used for a handful of postal operations. Originally slated to occur in 2014, cancelling operations were moved to Minneapolis on June 1. An April 11 article in The Mankato Free Press states: "The facility's larger operation is the sorting of mail coming in from other processing centers around the country and sending it on to the proper post offices in a region that stretches from Hills (just east of the South Dakota line) to Albert Lea to Waseca to Belle Plaine. That work is anticipated to be transferred to Minneapolis in just under a year." Local APWU president Paul Rodgers said he expected those consolidations to occur this coming February. Finally, the massive Minneapolis/St. Paul Network Distribution Center (NDC) will absorb a few other operations from Mankato. Like the North Mankato branch post office, Mankato's Madison East Station is a non-carrier finance facility with retail operations and PO Boxes. Located in the back of a sizable shopping plaza, the 1,326-square-foot facility is leased until 2017 for $16,170 per year. 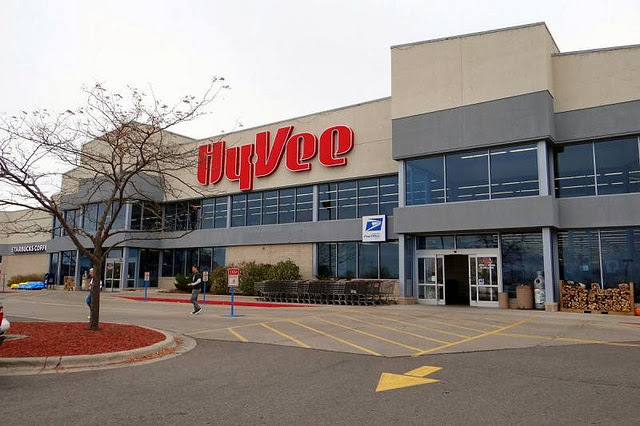 Finally, there Mankato's Hy-Vee supermarket has a Contract Postal Unit at the customer service counter in the front of the store. Love the old clock tower! Too bad more old Federal buildings don't still have those. A few old Canadian post office buildings still do. Great tour of a city I've driven past, but haven't stopped in.